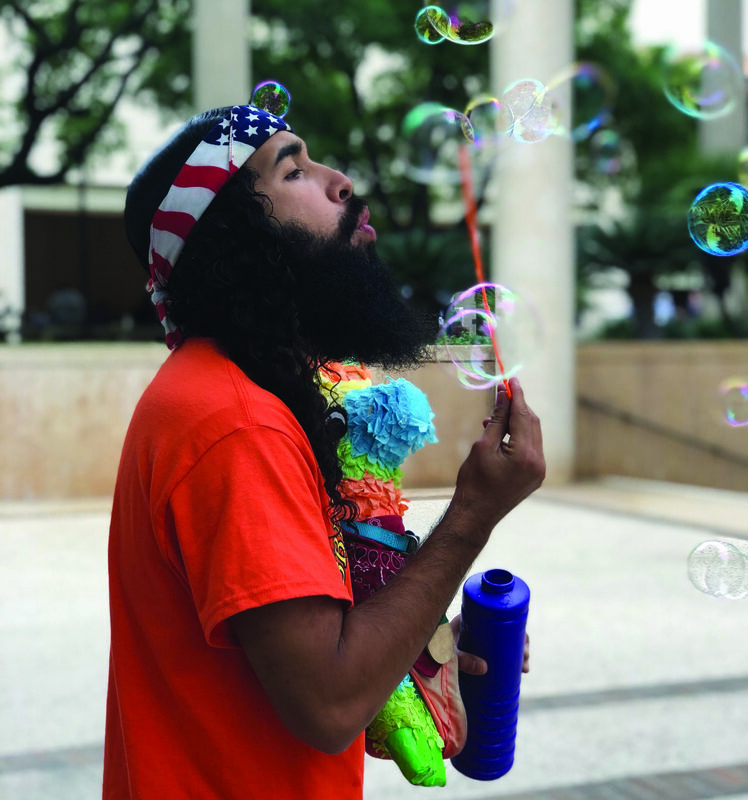 When you are walking to your next class, you may have noticed a man wearing a tye dye shirt, carrying a piñata and blowing bubbles near the Sombrilla. Next to him stands a shopping cart with the sign “Bubble Believers” on the side. The cart is full of bubble cartons and wands. He chants his message about spreading love and positivity while bringing in students to take a moment to blow a bubble. You may wonder, who is this man? Why does he blow bubbles? Who are the Bubble Believers? Do not fret. Here are the answers to your questions. 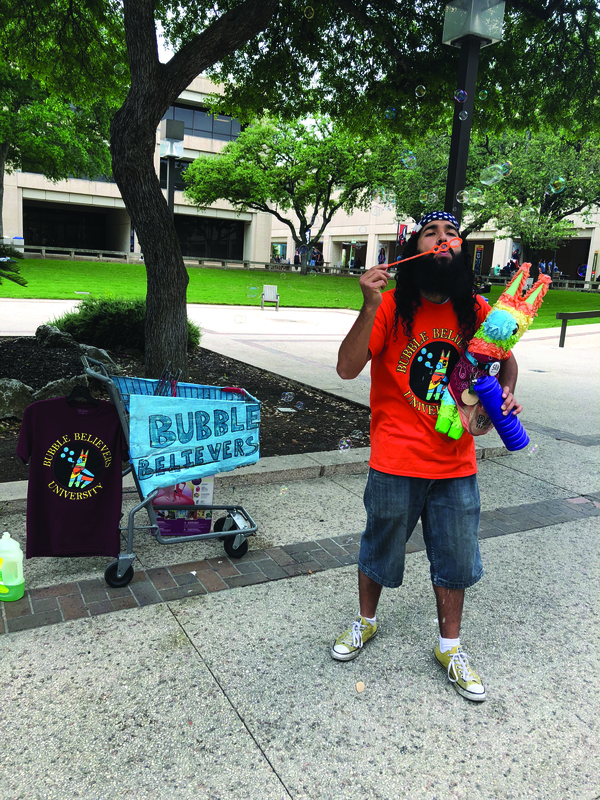 The man behind the bubbles is well-known Texas State alumni, Joseph Losoya. With the help of several friends and a combination of ideas, Losoya first established an organization called Table of Friendship at the first college he attended, Palo Alto College. Losoya states that Table of Friendship was him and a group of friends inviting other people to come and sit with them to enjoy each other’s company. The group was well known on campus and attended events, such as the Student Government Association meetings, to spreading their positivity. The group gained major popularity after Losoya graduated and began to attend Texas State University. Many followers wanted another group to be established at Texas State but he did not know how to bring it. “(Texas State) has this whole Freedom of Speech area by the Fighting Stallion and I remembered in the military, in tech school, I used to blow bubbles cause I was bored when I was stuck on base. And I remember, oh, if I were to bring this bubble idea I did in the military out of boredom to this Freedom of Speech area on campus that would be pretty cool,” said Losoya. 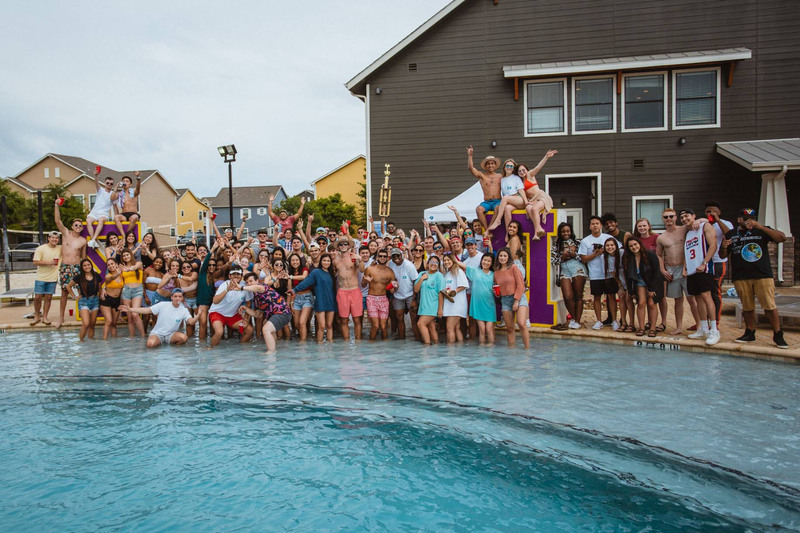 With the support of his followers on Twitter and Snapchat, Losoya decided to create Bubble Believers at Texas State University. Bubble Believers is a body of individuals coming together to spread their message of friendship and unity through the use of blowing bubbles. As a native of San Antonio, Losoya was determined to continue his group from Texas State back to his hometown. “While in college we have so many things we want to do. We want to be apart of several groups, we want to keep up with our new friends and our old friends, keep up with family, we’re making new family, keeping up with long distance relationships. We have so much going on. Then we gotta watch all the stuff we’re supposed to watch on Netflix and Hulu, and study and (do) homework. There’s no time,” says Losoya. Losoya highly encourages even if you are busy to come by for a minute to blow a bubble and let your troubles float away. The next time you’re free, take some time and stop by the Bubble Believers to blow a bubble with Joseph Losoya. Follow Bubble Believers at @bubbleguytxst on Twitter and bubblebelievers on Instagram. Also check out their new music video “Bubble Gang” on Twitter and on YouTube. It’s a banger!